Hi everyone! 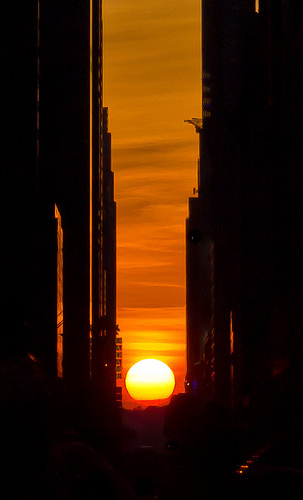 I've been busy temping and looking for some stable work so yes, I have been neglecting this blog a bit :/ But I thought I'd return with an amazing Inspirational Tuesday post - all about Manhattanhenge! 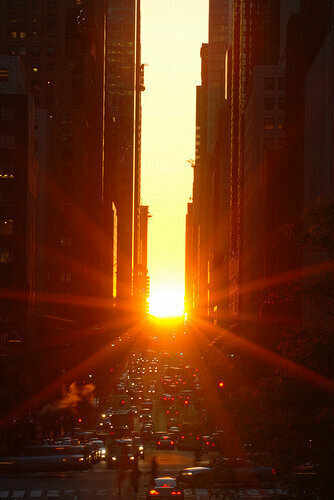 It happens a few times during the year where the sun sets exactly in the center of Manhattan streets. The latest one happened last week, but there should be another one sometime in July. 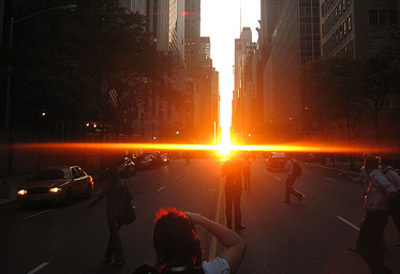 Since Manhattan is pretty much a grid, you can view this on multiple locations. Many like to go to 42nd, 14th, and 34th (the bigger streets), but I feel like you run into more people that potentially might block your amazing capture. I've always wanted to go and see it... Amazing!!! The picture of the sunset really looks amazing! OMG! So friggen amazing! 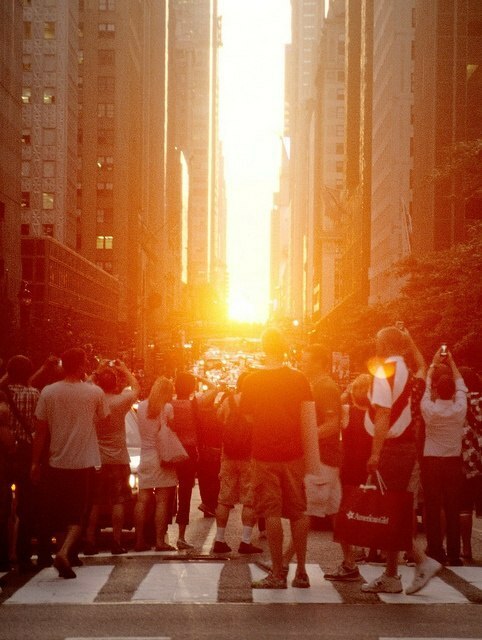 I want to be in the city when it happens again! And I have been working hard on my business! Good luck with the job search, I will keep me eyes and ears open!! I had no idea that this happens. I guess living in the city for a while makes you take things for granted, haha. These are fantastic pictures. I love watching the sun rise. These are SO gorgeous. 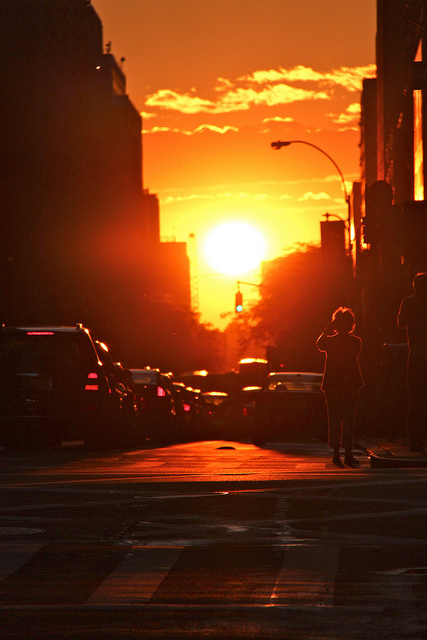 What a beautiful NY sunset! wow these pictures are tré cool! !